eGauge - The eGauge driver and T3 app for Control4 provides live feedback on the energy consumption within the home. This is useful for demand response, load control/shedding, device health and safety scenarios. 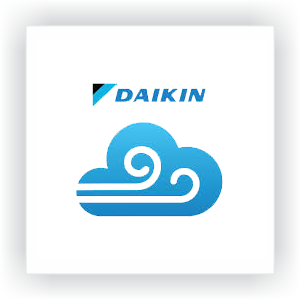 Daikin Airbase (BRP15B61) - The Daikin Airbase driver for Control4 allows you to integrate Daikin Ducted and Sky based HVAC systems into Control4 with full two way feedback and control including filter cleaning feedback and multiple zone and timer based control. BenQ Universal Driver - BenQ provide a universal serial rs232 API for their range of projectors. The Chowmain BenQ universal projector driver for Control4 provides seamless integration of BenQ projectors via this API and allows two way control & feedback over all the features you would expect with a projector. FREE Blindware Driver - Blindware is an Australian company supplying components to blind manufacturers Australia-wide, and globally. The FREE Blindware driver for Control4 is developed by Chowmain will integrate the Blindware AC407-01 Middle Control Transmitter for up/down/stop commands for each blind. FREE VSSL A.6 Driver - The VSSL A.6 matrixed multichannel amplifier allows you to switch 8 x stereo sources to 6 amplified zones. It has 6 x streaming sources built in where you can send independant streams of Google Cast, Spotify Connect or Apple Airplay. It also allows you to connect two of these zones via the bus outputs to a 3rd party receiver or amplifier to pass through audio. Freesat Channels Driver - Freesat is a British free-to-air satellite television service, provided by joint venture between the BBC and ITV plc. This driver is designed to replace the existing RF_CABLE cloud driver to automatically get the latest channels from Freesat including channel numbers, names, icons, currently playing information and more. FREE ZeeVee Zyper - This driver will integrate the via ZeeVee Zyper Encoders and Decoders via the Zyper Management System with encoder / decoder routing, multi-view, video-wall, audio-control and one-way RS232 expansion. Virgin Media Channels Driver - This driver is designed to replace the existing RF_CABLE cloud driver to automatically get the latest channels from Virgin Media including channel numbers, names, icons, currently playing information and more. New Zealand Sky Channels Driver - This driver is designed to replace the existing RF_SKY cloud driver to automatically get the latest channels from Sky including channel numbers, names, icons, currently playing information and more. Daikin Wifi Split - The Daikin Wifi Split driver for Control4 allows you to integrate any Daikin split system with any Daikin split system with wifi for full 2 way control and feedback over modes, setpoints, fanspeeds, fan swing, presets and scheduling. Wifi modules can also be retrofit into older Daikin split systems that have the S21 port. FREE Noon Lighting System Driver - Noon's wifi enabled light switches rivals the performance of elite systems without the complexity or high-end cost. Integration to Control4 offers two way control and feedback over any Noon enabled circuit in your home. FREE Blackdove Driver - Blackdove is a comtempory subscription based streaming digital art provider. The Blackdove driver for Control4 allows for control over the selection of playlists or individual artwork from Control4's navigator or programatically. FREE HDANYWHERE MHUB 4x4 Driver - This driver is compatible with MHUB PRO (4x4) 70, MHUB PRO (4x4) 40, MHUB (4x3+1) and MHUB MAX (4x4) models. It features auto discovery, self healing, full two way control and feedback including matrix switching and IR expansion functionality. FREE HDANYWHERE MHUB 8x8 Driver - This driver is compatible with MHUB PRO (8x8) 70 and MHUB (8x6+2) models. It features auto discovery, self healing, full two way control and feedback including matrix switching and IR expansion functionality. FREE HDANYWHERE MHUB Audio Driver - This driver is compatible with MHUB Audio model. It features auto discovery, self healing, full two way control and feedback including matrix switching, mute and volume functionality. FREE Anthem STR Driver - The revolutionary STR Integrated Amplifier is based on an entirely new technological platform, for true benchmark performance in stereo amplification. More power, more control, more connection options, and the most advanced technology available in a single, easy-to-use component.The Anthem STR Driver for Control4 enables full two way control over the STR range of products by Anthem including volume, mute, input, presets and more. Presets can be easily controlled by the customer on any navigator with two way feedback as well! British Sky+ HD / Sky Q Driver - We had done a major update to our Sky UK driver for Control4! Our very own RF_SKY driver now has a synopsis page for each channel with arwork for whats playing, title, synopsis, rating and duration. Tank Utility - Tank Utility manufactures wifi battery operated devices which monitor the tank level of propane tanks. By integrating level monitoring into Control4 home owners can be notified of when propane levels are low and the home can react by turning off unnecessary loads to ensure energy conservation. FREE Klipsch C Series Subwoofer driver - The Klipsch C Series Subwoofers take performance and style to a new level. This FREE driver developed by Chowmain will integrate the C series of Klipsch subwoofers via IP for full two way control including discrete input switching, volume, EQ preset control and more. Microsoft Cortana - We show you how to integrate the Microsoft Cortana personal assistant into your Control4 home. Say "Hey Cortana" to start controlling the home of the future today. Sensibo - Sensibo makes your existing infra-red controlled air conditioner smart and connected! Sensibo is an external device that you pair your remote controlled air conditioner with. The Chowmain driver for Sensibo communicates to Sensibo via the Sensibo Cloud API which enables full two way control and feedback over room temperature, humidity, setpoints, hvac mode, fan speeds and swing. 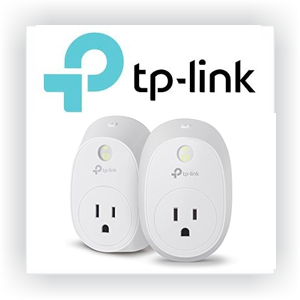 TP-Link HS1XXWifi Smart Outlet - The TP-Link HS1XX is a WiFi controlled power output available for purchase world wide. This relatively cheap device provides on/off control over devices that are not normally controllable. From floor lamps to fans or eliminating standby power on your AV equipment, the possibilities are really endless. Videostorm IRUSB - The Videostorm IRUSB device allows us to control any Android set top box including the Nvidia Shield, Amazon Fire TV, Foxtel Now, Xiaomi MiBox and more. It also an additional IR output to Control4 so you can control a local source such as a TV or receiver. FREE Klipsch KDA Series Amplifier driver - The Klipsch KDA Series DSP Amplifiers offer legendary Klipsch power and performance in a sleek, high-tech, 1 rack unit solution. This FREE driver developed by Chowmain will integrate the KDA series of Klipsch devices via IP for full two way control including volume, mute and discrete input changing. FREE Jamo JDA Series Amplifier driver - The Jamo JDA-500 offers legendary Jamo power and performance in a sleek, high-tech, 1 rack unit solution. This FREE driver developed by Chowmain will integrate the JDA series of Jamo devices via IP for full two way control including volume, mute and discrete input changing. Miravue VIP System - Miravue provides low-cost IP video distribution & control systems over Ethernet, coax and wireless infrastructures for the connected home, office and consumer through custom integrators. Our FREE driver provides switching, RS232 expansion and IR expansion. Vivotek IP Cameras - Vivotek offers a range of PTZ and NON-PTZ cameras for commercial and residentail. Our driver integrates their product range into Control4. Microsoft Surface Hub - We offer two way control/feedback over the surface hub including volume control, input selection and automatic room on/off when the hub is used manually. Holiday Driver - Programming automation tasks to take into account holidays can be hard for a programmer. In most cases programmers have to return yearly to ensure that holidays are correctly programmed in for that year. Introducing the Chowmain Holiday Driver for Control4. This driver is built to assist with programming automation tasks that take into account holidays dates. Call to prayer - Assists Muslim Control4 home owners who want to program their home for adhan (or azan) - the call to prayer which happens 5 times a day. Advantage Air MyAir - This driver will work with all models of MyAir by providing two way control and feedback over any Advantage Air MyAir HVAC system. This includes HVAC modes, Fan modes, Setpoints, Zone control, Fresh Air and Timer functionality. VSSL A.6 - The VSSL A.6 matrixed multichannel amplifier allows you to switch 8 x stereo sources to 6 amplified zones. It has 6 x streaming sources built in where you can send independant streams of Google Cast, Spotify Connect or Apple Airplay. It also allows you to connect two of these zones via the bus outputs to a 3rd party receiver or amplifier to pass through audio. amBX lighting controller - This driver allows slick integration of the power of amBX lighting control for Control 4 home automation installations including space selection, brightness, saturation, automatic naming and definable colors. Fermax N-City Doorstation - The Fermax N-City Sip Doorstation for Control4 allows for two way audio/video sip communications between Control4 touchscreens and Fermax N-City Doorstations with the ability to trigger relays 1 or 2 for gate or door strike release. Airtopia Enhanced Climate Control - This FREE driver integrates Airtopia, an IP ethernet product that controls IR based HVAC systems, into Control4 with room temperature, setpoint, fan speed and vane control. Rachio - FREE DRIVER. The Rachio webview driver for Control4 provides consumers with the ability to control and manage their rachio sprinkler system from their Control4 T3 touchscreens. Violet 2.0 - The Violet 2.0 driver for Control4 allows customers with Domotz remote network management setup in their homes to manage their network via almost any Control4 user interface. This includes rebooting/power cycling devices, disabling internet access for certain devices or even people and much more. Scheduler - The Scheduler application for Control4 T3 touchscreens provides consumers with the ability to schedule anything in the Control4 system straight from the T3 touchscreen. No expertise needed. Contact Us - The Contact Us application for Control4 T3 touchscreens provides dealers with a professional looking contact us page on the T3 touchscreen with customisable company logo, company contact details, google map and clickable URL to the company website. Advanced Custom Buttons - The Advanced Custom Buttons app for Control4 T3 Touchscreens and any HTML5 compatible browser features upto 12 custom buttons with dynamic labeling of buttons through the Control4 programming tab and LED feedback for button state. German Sky+ / Sky+ Pro Driver - This driver provides IP control over the German Sky+ & Sky+ Pro set top boxes along with the ability to select a channel directly from the Control4 user interface. British Sky+ HD / Sky Q Driver - We had done a major update to our Sky UK driver for Control4! We created our very own RF_SKY driver which provides HD artwork and also now playing information for all channels! It's channel surfing made easy. FREE Magic 8 Ball Driver - This fun free magic 8 ball driver is designed to be used with your T3 or EA series user interfaces. Just like a real magic 8 ball you ask it a question, then touch it/click on it and it will display your answer! British Sky+ HD / Sky Q Driver - This driver provides IP control over the British Sky+ HD & Sky Q / Sky Q mini set top boxes along with the ability to select a channel directly from the Control4 user interface PLUS the ability to automatically update the channel meta data / artwork from the internet. Hebcal Jewish Calendar Driver - The Chowmain Hebcal driver for Control4 imports data from Hebcal.com. This driver helps by automating detection of Jewish holidays and your standard weekly Shabbat schedules. FREE Telstra TV Mini Drivers - We created some awesome mini drivers for the Australian Telstra TV (powered by Roku). These mini drivers provide an icon and direction selection of Telstra TV's online channels under the Watch page on the Control4 UI. Services include tenplay, Stan, SBS On Demand, Presto, Plus7, ABC iView, 9Jumpin and Bigpond Movies.